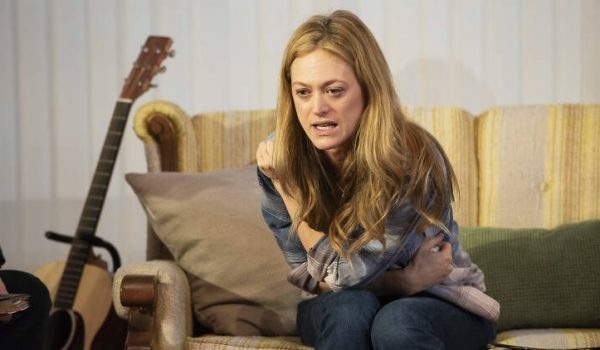 Few actresses can wring as many variations on self-indulgent despair as Marin Ireland. 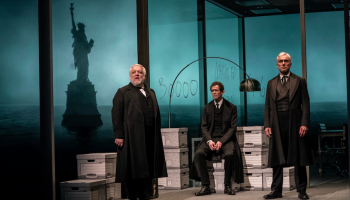 This Obie winner has created incisive portraits of a party-girl spoiled royal in Marie Antoinette, a narcissistic bisexual activist in In the Wake and a self-destructive immigrant worker in Ironbound. That’s just to name a few. 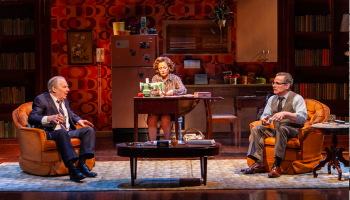 Now she is a disgraced high school teacher, sucking up oxygen and wrecking lives in Abby Rosebrock’s Blue Ridge at Atlantic Theatre Company. Alison is the newest resident at a Christian half-way house in the mountains of North Carolina. When her abortive affair with her married principal goes south, she takes an axe to his car and must submit to a work program and Bible study. 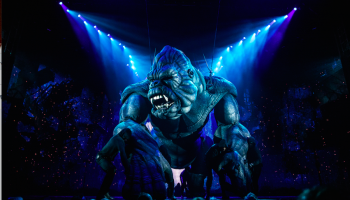 Ireland manages to make this dangerous bundle of nerves a charismatic charmer, gathering attention and even love while wrecking havoc. 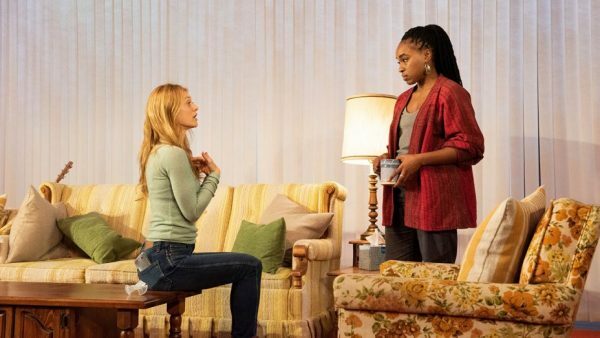 Marin Ireland and Kristolyn Lloyd in Blue Ridge. Channeling Blanche DuBois, a legendary Tennessee Williams character she quotes from liberally, Alison feeds on her neurosis and can’t seem to stop screwing up her life and those around her. Ireland gives her a vital, almost irresistible sparkle. Hugging two pillows for support and barely continuing her ferocious energy, Ireland expresses Alison’s physical desperation without turning her into a tornado of terror. It’s understandable why friends and lovers are drawn to her. 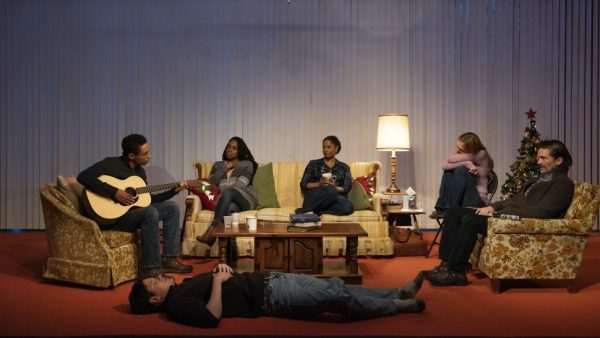 Kyle Beltran, Peter Mark Kendall (lying down), Kristolyn Lloyd, Nicole Lewis, Marin Ireland, and Chris Stack in Blue Ridge.